A while ago I wrote a post about my mama uniform and in that, I mentioned my love of mama merch. Now some of you might be thinking what on earth is mama merch? Well its items from small independent shops run by mums. It also happens to be my weakness. So hello, my name is Ky and I am addicted to buying things from businesses run by awesome mamas. 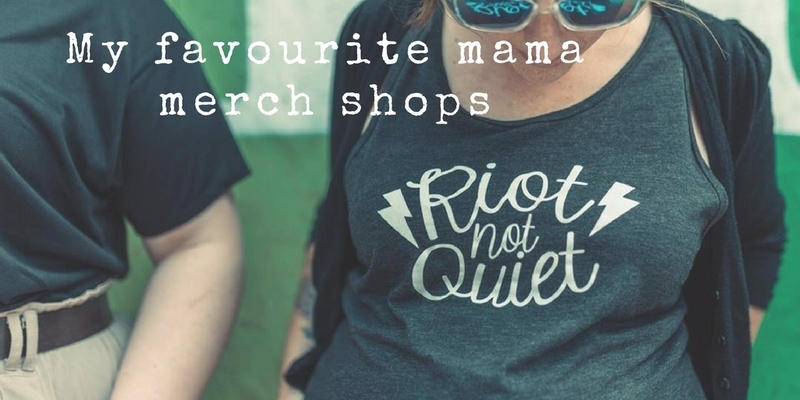 So here is my list of my favourite mama merch shops. Muthahood – After seeing a lot of mums on Instagram with tops from here, I recently bought my first one. I got the Strong Girls Club one, but I like almost everything else. Haus of Mono – Another shop I discovered on Instagram, it’s such an enabler. This is easily one of my favourites. Every time a new line drops I have to get something. Punky Moms – now this is something I haven’t really spoken about on here but Punky Moms has been a big part of my life since becoming a mum. It’s made me feel like I’m not alone, and that although I am a mum I can still be me. 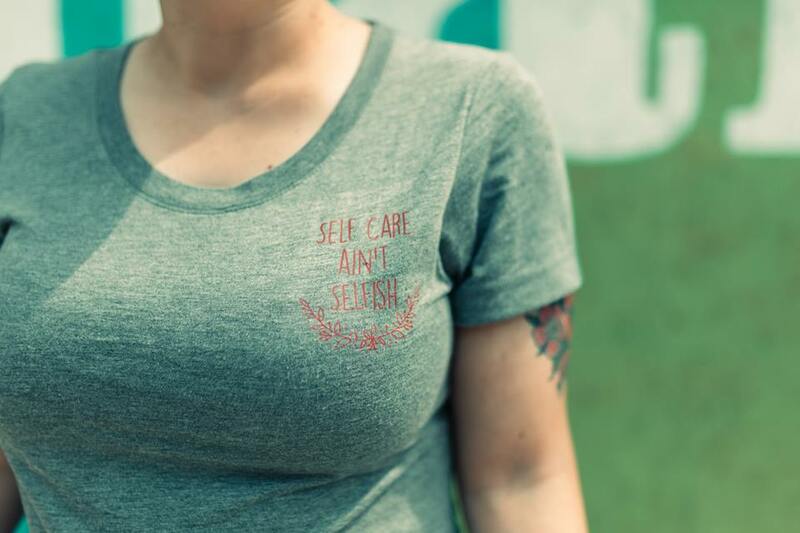 We are enough – I recently got a sweatshirt from here and it so comfy. I can’t wait for winter to wear it more. 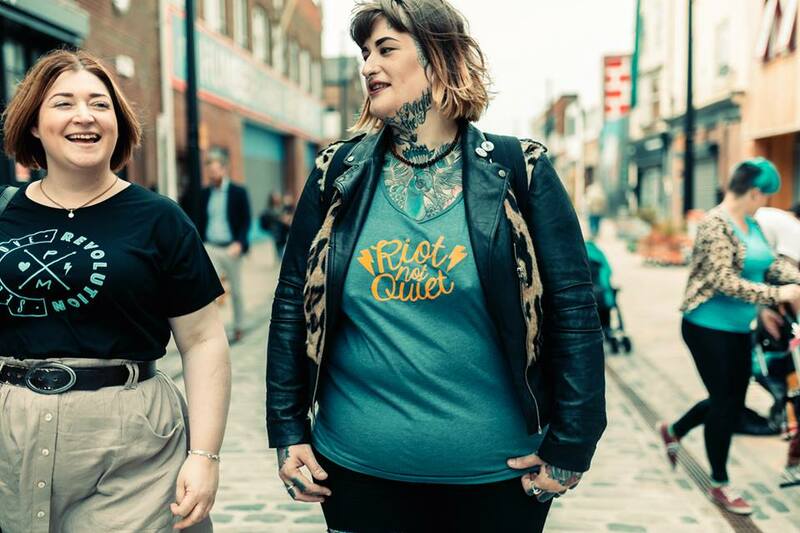 Bloody Nora Pam – From the too tired pin to the eliminate body hate t-shirt this shop is one for everyone. Yesterdays Youth is run my friend’s partner. She does custom jackets, both for little ones and mamas. She also has some good t-shirts. Mere Souer – This was one of the first mama merch sites I came across. The Bee and The Fox – This one is fairly new to me but I want to buy everything! There are some great t-shirts, both for adults and kids. F Equals – whilst not strictly mama related this shop is all about empowering and inspiring women which is something that we all need to do. Savage Seeds – Although this is based in the US so the items are all in dollars there are some great t-shirts on here. Woody and Florence – If you are looking for some new artwork for your walls or patches for your jacket then this is the place to get them. Follow the Cult – This is all jewellery so if you are looking for something special for mother’s day, birthday then check this shop out. I really like the mama necklaces.